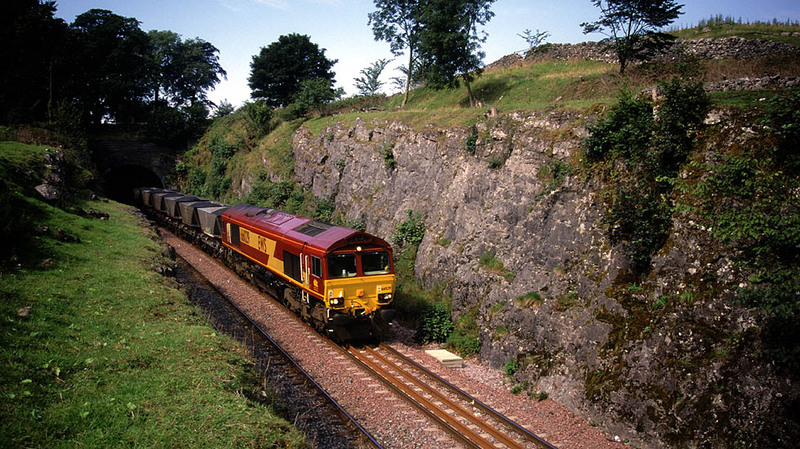 66029 emerges from Stainforth Tunnel with southbound mgr loads. The tunnel goes under the main Settle to Ribblehead road just before the village of Stainforth and is adjacent to the Youth Hostel, its easy to get to, just park the car in the lay-by, hop over the gate and walk across the field. Early afternoon is best as shadows are minimal and it can be very pleasant here on a hot summer's day.